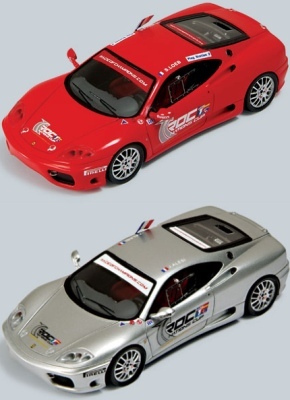 RedLine Ferrari 360 Race of Champions Sebastien Loeb - Jean Alesi - 1/43rd Scale Models. This is a 1/43rd scale diecast model set of the Ferrari's 360 Modena of the 2004 Race of Champions Nations Cup winners Sebastien Loeb and Jean Alesi. This set has been produced in a limited number of 500 pcs and comes in a beautiful display to protect it from dust and greedy fingers. 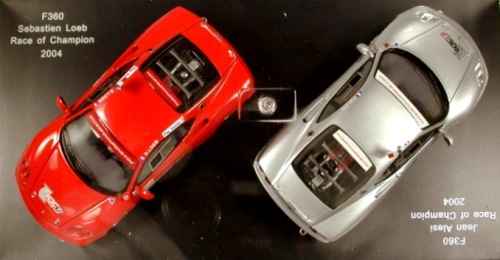 Scale 1:43, each model measures some 4 inches or 10 cm in length. This is of course an officially licensed model set.